Blake Edwards, director of film classics such as Breakfast At Tiffany’s and The Pink Panther, has passed away. Edwards got his first break working as a scriptwriter on Orson Welles’ infamous radio version of War Of The Worlds, before writing for detective series Richard Diamond. Edwards created and produced the show Peter Gunn (which featured Henry Mancini’s iconic theme – probably best known in recent times for appearing in 80’s hit The Blues Brothers). Among his film offerings were directorial stints on a bunch of comedies, including Days Of Wine & Roses, Breakfast At Tiffany’s and six of the Pink Panther films with Peter Sellers. He worked with Bo Derek and Dudley Moore on the film 10, and the massive ensemble adventure film The Great Race. Edwards directed his second wife, Julie Andrews, in a number of films (including 10), with her taking a lead role in Victor/Victoria. In 2004, Edwards was given an Honorary Academy Award for his body of work. 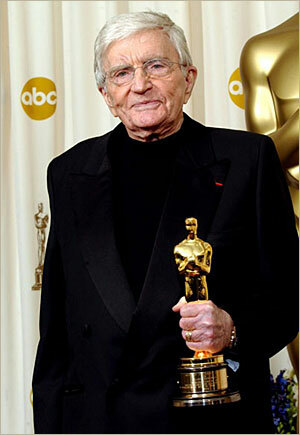 Blake Edwards passed away yesterday from complications of pneumonia, aged 88, in Santa Monica.